Origin / ancestry Headband is the offspring of OG Kush and Sour Diesel. May Relieve Headband has effects which come on slowly and last a long time, making it excellent for persistent pain and incessant stress. Indoor and Outdoor Yield 21 oz. per weed tree outdoors. 18 oz. per meter squared indoors. Time to Harvest Nine to ten wks. Harvest The mid-October is time to harvest Headband. Disease resistance Superior resistance to disease, fights moldiness, fungi, viruses, and pests. Adverse effects Frequent occurrence of dry mouth and eyes. Headband is the offspring of the popular and powerful Sour Diesel and OG Kush. 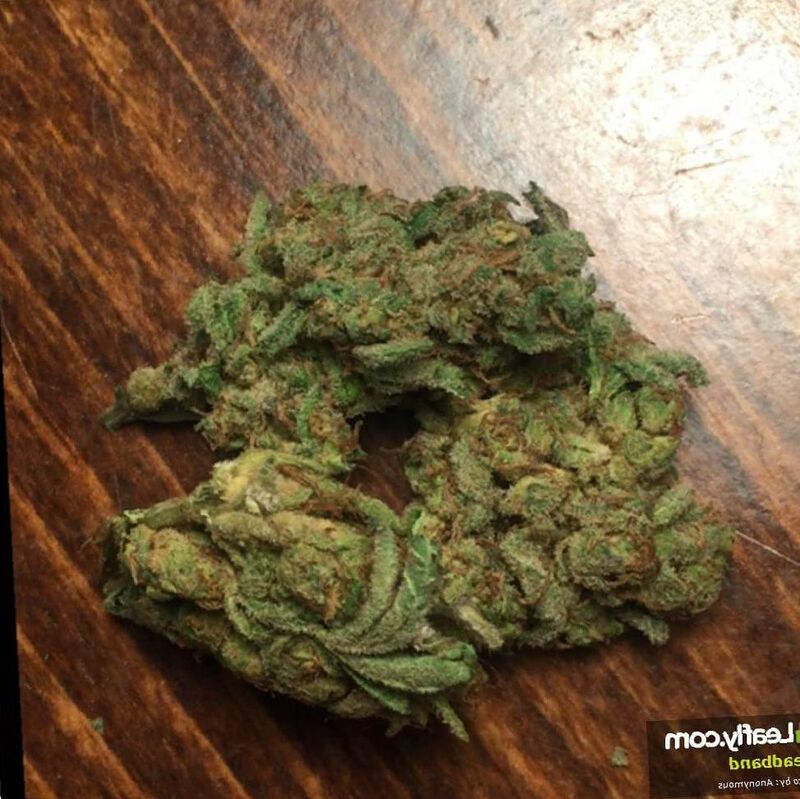 This produces and powerful, pungent bud that wraps the body in euphoric warmth. It is said to feel like you are wearing a headband around your head, protecting you from pain and anxiety. This is where the name ‘Headband’ comes from. 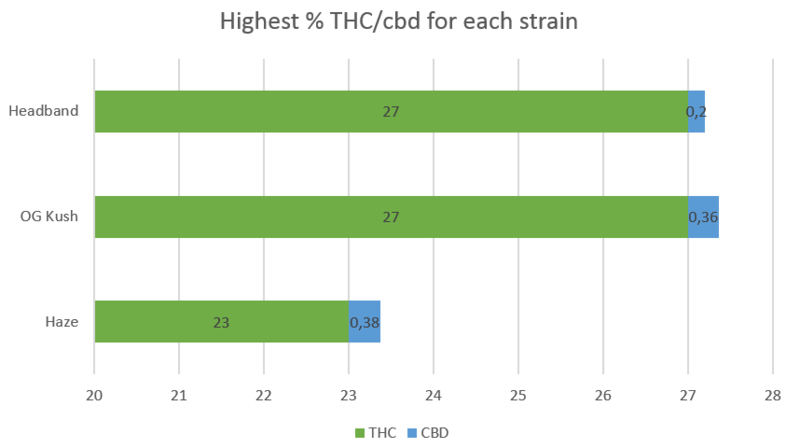 Headband is Indica dominant, at 60%. 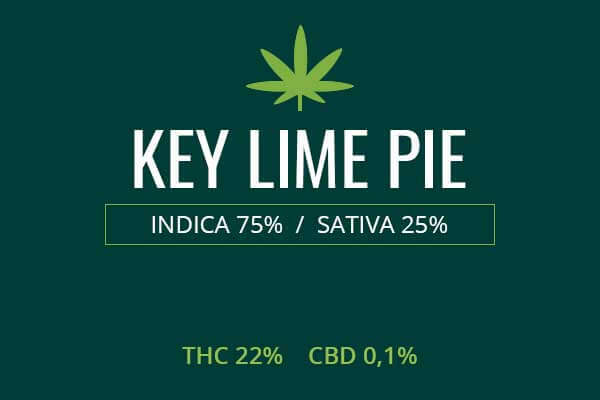 This provides the relaxing effects users seek to wind down after a long day or to treat chronic pain. It has a high THC content. Headband is said to cause the blood vessels around the ears and temples to open up, and that creates the headband feeling and may improve blood flow to the brain. Its origins are disputed. It may have been developed by the Reserva Privada breeders of Colorado, while others claim it was developed in Humboldt County in California. In either case, the result is a smooth and powerful bud. Headband has been described as pungent and earthy, but mostly lemony. It has a strong taste of lemon that is sure to fill the room and possibly seep outside. This simple taste makes it most palatable. 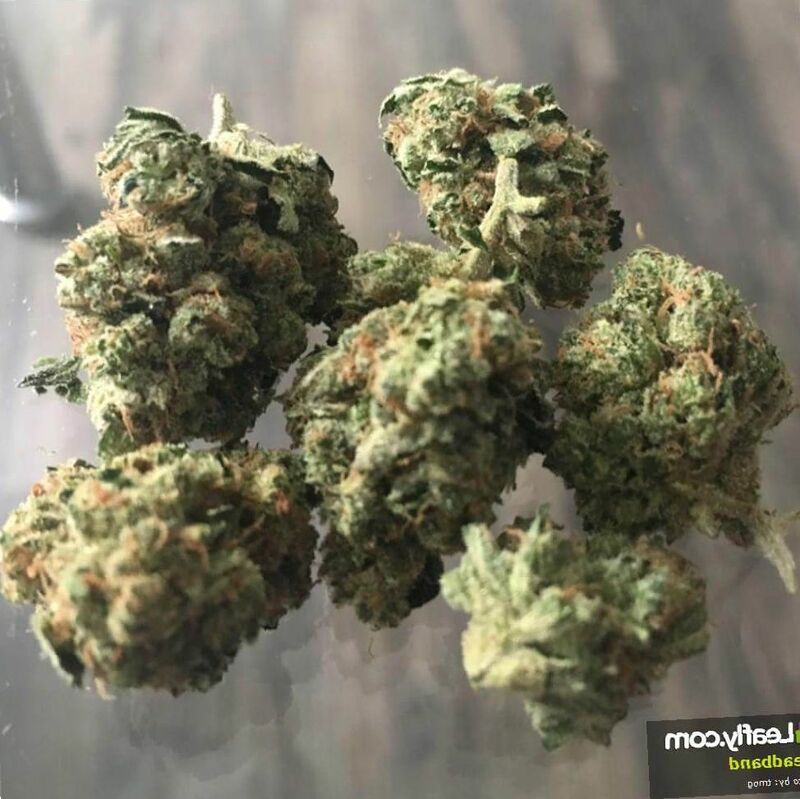 The buds are dense nuggets of smooth green with sticky-icky trichomes of white, indicating the high THC content. You will want to grind this weed in a grinder to release hints of pine, lemon, and skunky funk. The smoke produced is abundant with medicinal chemicals but also smooth and calming. Growing weed from Headband cannabis seeds and cuttings is of high difficulty. Headband is a plant of medium height that will grow from 30 to 80 inches tall. Headband thrives in a sun-lit and warm area, outdoors, and protected from excessive rainfall. Flower Power fertilizer is an excellent source to help these plants get the proper nutrition. Indoors, Headband plants will flower in nine to ten weeks. 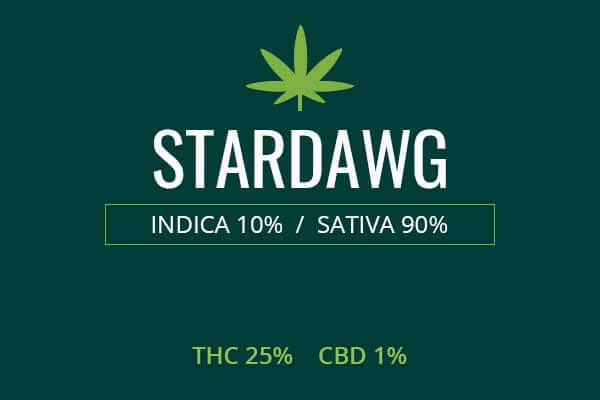 The grower will get 18 ounces of high quality Indica per meter squared. 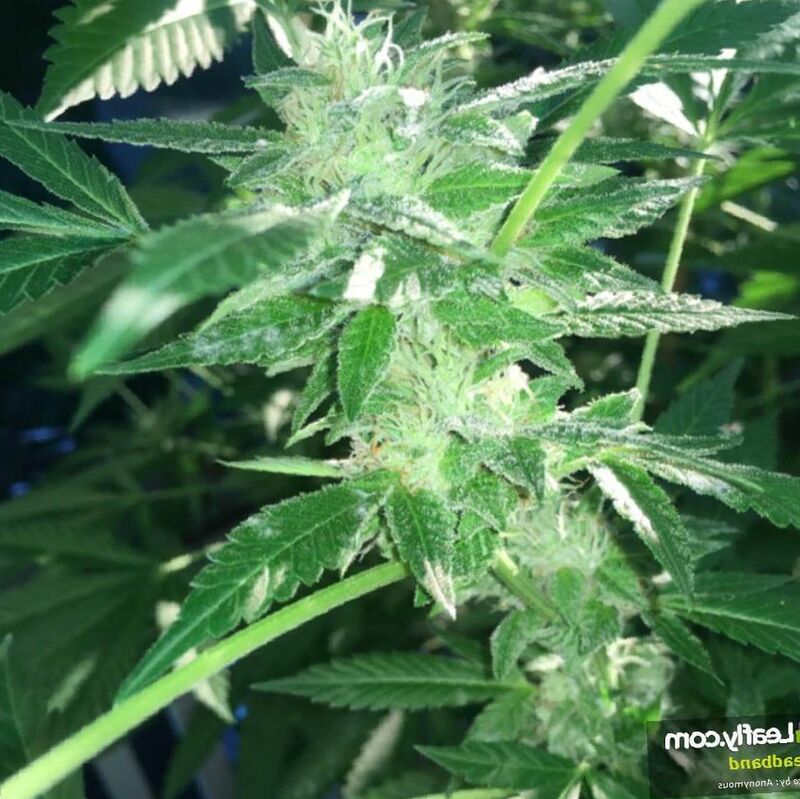 Headband grows best outdoors in a warm sunny climate. 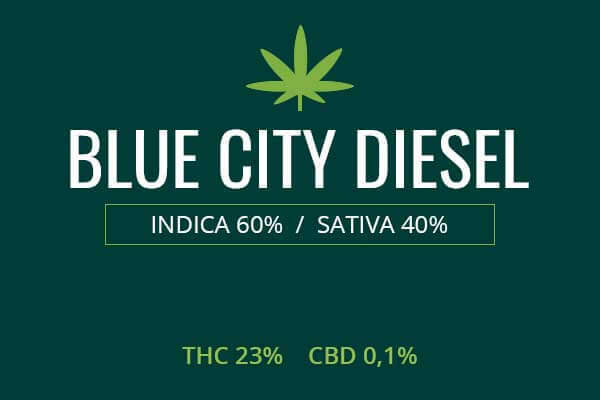 Harvest will be around mid-October and growers can expect 21 ounces of quality Indica bud per plant. 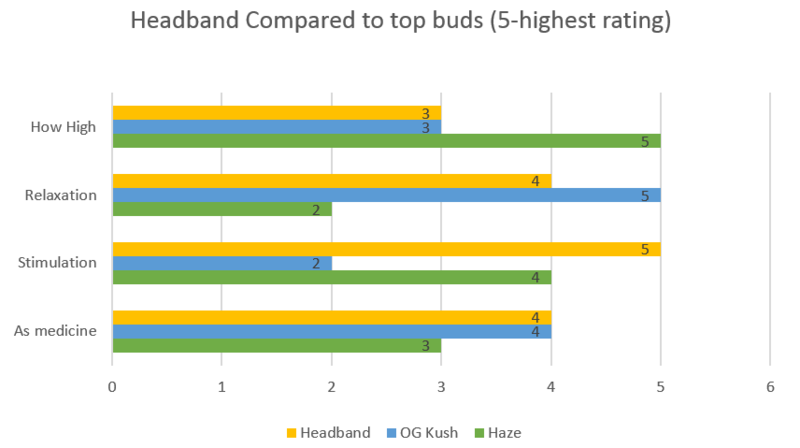 Headband weed has high THC content, ranging from 20% to 27%. The relaxation produced by this plant can bring relief to those with anxiety and depression. Though levels of THC are high, it can have a strong flooring, or couchlock effect that can soothe an agitated mind and body. The strong body high and warmth also makes it good for widespread chronic pain such as from muscle aches, fibromyalgia, and Chronic Fatigue Syndrome. The ‘headband’ effect is also said to relieve migraine and other types of headaches. Headband weed is the ultimate high to make your body feel warm and comfortable. The effects come on slowly. It creeps on, over as long as 20 minutes. Then it envelopes you in a blanket of warmth, relaxation, pain relief, and of course, the famous headband of relaxed blood vessels near your temples, feeling as if they are being massaged. Headband will go straight to your head and make you feel kind of heavy band foggy, so it is best for activities which do not require a lot of focus and concentration. 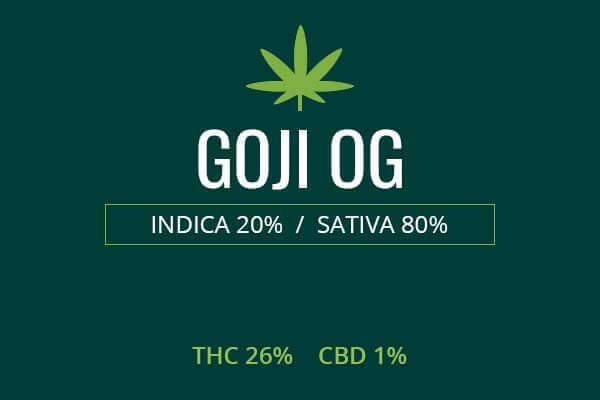 Use this strain when you need quick relief and have plenty of time to chill, space out, and watch a movie, or take a nap. Headband is a strain which gives a strong head high, a foggy mind, and may induce giggles and some forgetfulness. It is a great choice for a fun, lazy time with friends. While it may not be good for accuracy, it may spark creativity with the strong headband stimulating the mind and creativity. Headband goes great with music and art projects. Headband has been described like a warm blanket around the body. This can be helpful when getting comfortable in intimate contexts. When you and a friend or lover are both experiencing a body euphoria, it becomes easier to communicate warm and fuzzy feelings. It makes it feel great to embrace and cuddle. There will be lots of smiles and tingling sensations. It can be great for making up. It also relaxes and soothes a tired and overworked body. Instead of using more harmful substances like alcohol, Headband can give you a nice, medicinal massage throughout the body, turning irritability into warmth and comfort.